Editor's Quote: "The Raleigh Rumson is one of the lowest-priced bikes in the group and an excellent choice as a first mountain and/or Fab Bike. 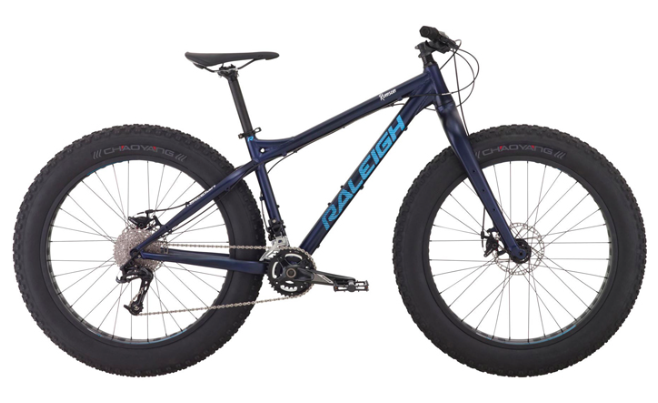 It's certainly heavy, but at this price, it's difficult to keep weights down, and it won't make much of a difference considering most riders at this price point generally aren't climbing mountains or tossing their bikes around tight trails." To view the Rumson, click here.